Apex Rehabilitation and Healthcare in South Huntington invites local residents to a FREE Community Carnival. The event will be held on Sunday, September 16, from 12 noon to 3:00 pm on Apex’s campus, located at 78 Birchwood Drive in South Huntington. Free fun activities for the entire family will be offered. 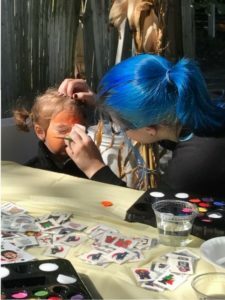 Carnival games, pony rides, face painting and other activities will entertain guests of all ages. Children will delight in the giant inflatable bounce house, while guests enjoy dancing to music provided by a DJ. Popcorn, cotton candy, raffles and a delicious barbecue luncheon will add to the fun. The carnival is free. A raffle drawing will be held to raise funds for the Apex Resident Council, providing special events and services to Apex residents. For additional information, call Apex at 631-592-6400 or visit apexrehabcare.com.